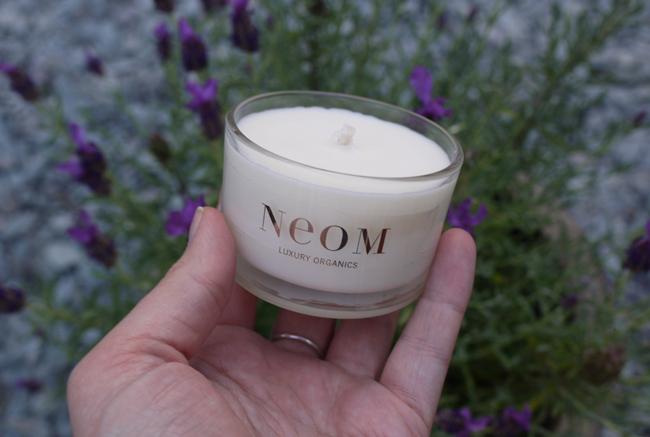 I first heard about the Neom brand quite a while ago via LipSoFacto and have been intrigued to try the brand ever since reading about the wonderful scents and carefully selected organic ingredients of the product range. 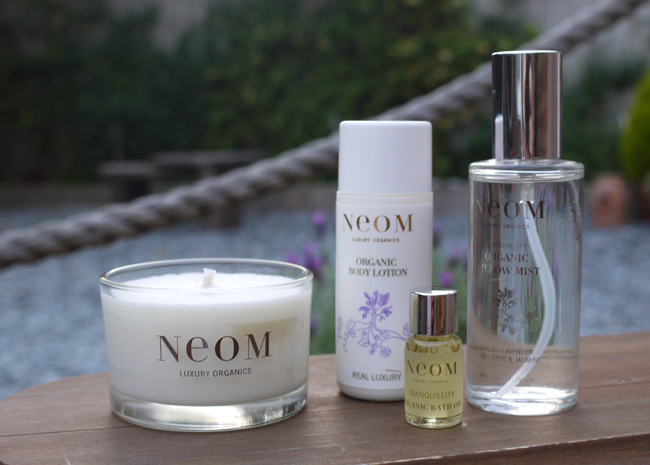 So, as work on the magazine has been a little hectic recently, I decided it was the perfect time to treat myself to Neom's Utter Relaxation Collection. For roughly £30 (from Feel Unique) I received a beautifully presented set of products which have both given me a good overview of the brand's offering, and left me feeling exactly how I wanted to - relaxed and pampered . . . The Collection is presented in the above packaging which opens at the front like a book to reveal the four 'luxury organic' products inside. From the moment I opened the courier package I could smell the gorgeous scents escaping from the box. Printed on the packaging is a guide to the contents of the collection and how best to use them - the perfect step-by-step guide to creating a completely relaxing pamper session for yourself. - Step Two: Tranquillity Organic Bath Oil (5ml), containing a calming blend of English Lavender, Sweet Basil and Jasmine to help ease you into a good night's sleep, and Jojoba and Safflower to help hydrate and nourish the skin. Step two urges you to run a bath and pour the whole 5ml in, but I found a few drops were more than enough and meant I still had some product left to enjoy on another occasion. 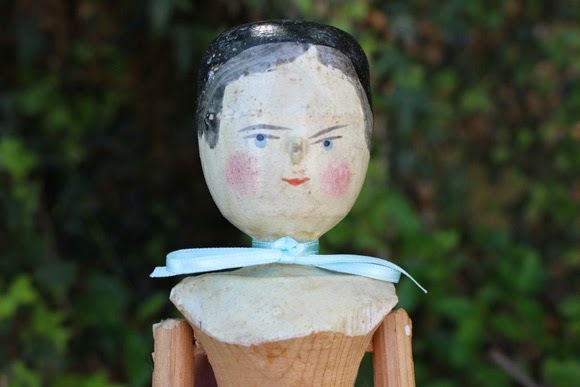 I have to say, my skin did feel really soft and nourished after the bath. - Step Three: Real Luxury Organic Body Lotion (50ml), contains a rich blend of Vitamin A and E-packed Shea Butter (one of my favourite things in a body product! ), Macadamia Nut Oil, Rosemary Leaf, Pomegranate and 'the highest quality aromatherapeutic oils' (ooh, fancy). This is a light formula which is absorbed into the skin nice and quickly (nothing worse than a heavy body lotion, clammy in my opinion!). - Step Four: Tranquillity Organic Pillow Mist (50ml), like the Bath Oil this contains a blend of organic English Lavender, Sweet Basil and Jasmine and is intended to help you drift off to sleep feeling completely relaxed. The scent is gorgeous and, as you'd expect, completely soothing and relaxing. I haven't actually tried the pillow mist yet as I'm saving it for when I am away with work in a few weeks and will need all the help I can get to relax at the end of the day! So what's my verdict? Is the collection worth the money? 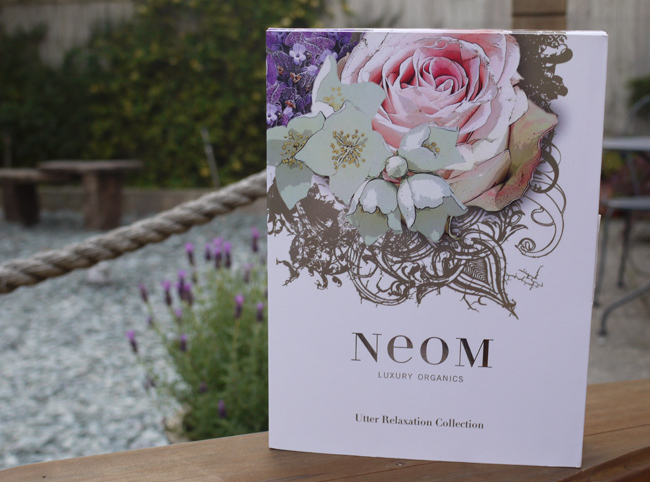 If you fancy treating yourself or a loved one to a really luxurious pamper session then yes, it's definitely a good little package to splash out on as it gives you a whole experience in one box for less than the price of one regular Neom product! What's not to love about that? The fact that it's a slightly more elusive brand (as opposed to, say, Boot's Sanctuary Spa or something), makes the collection feel that little more 'special' and, perhaps it's just me, but I find that really helps you get in the mood for a good pampering! Neom is quite pricey, but if you like what you've read then perhaps pop a collection like this on your Christmas list or keep an eye on the Neom website and Feel Unique for occasional discount offers. NB: The Collection doesn't seem to be available any more but I'm sure similar gift sets will pop up again soon so do keep an eye out if you're interested!